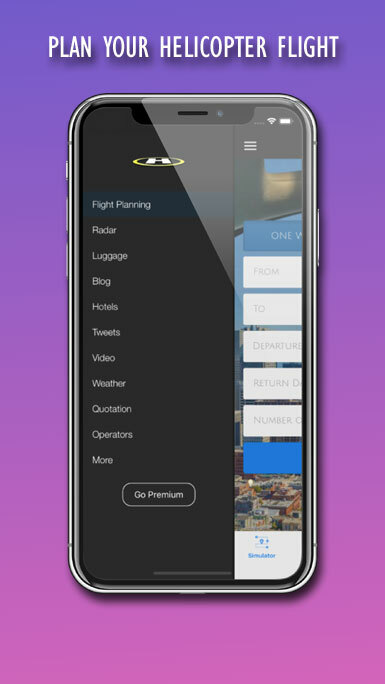 The smartest app to plan your flight. Get istantly an estimate of the cost. 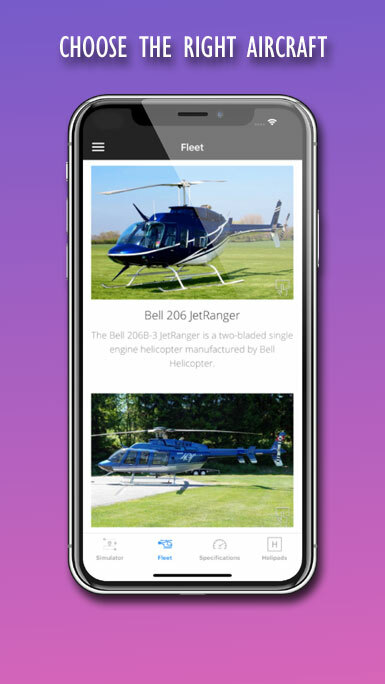 Get all the information to plan your private helicopter flight. How long does it take to reach your destination ? 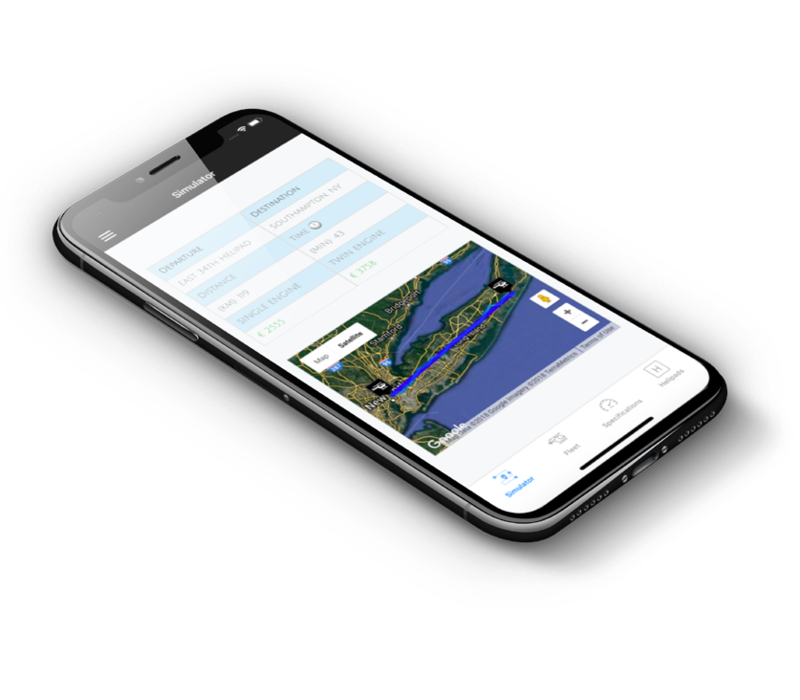 Check distance and flight time by helicopter for any destination. Choose the best aircraft for your mission. Contact operators directly with new Radar function. 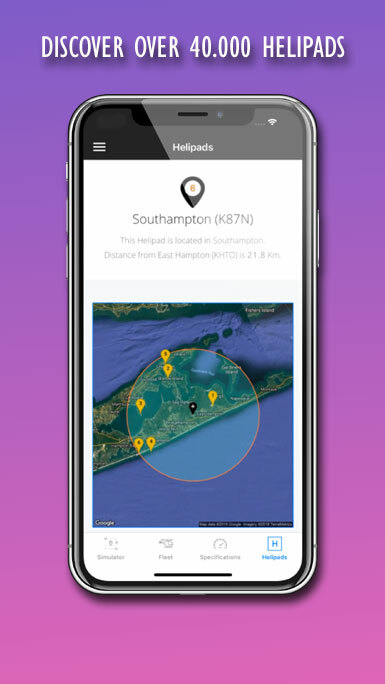 Find aircraft near you or near preferred airport. Are you in a hurry ? While waiting for the confirmation of the exact price, the app gives you istant price estimates. Where is the nearest helipad ? Worldwide helipad database updated daily. 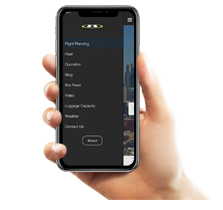 Get our app Find Airports Pro for more information. From start to finish our helicopter flight from Monte Carlo to Portofino was organised to a precise and efficient manner. 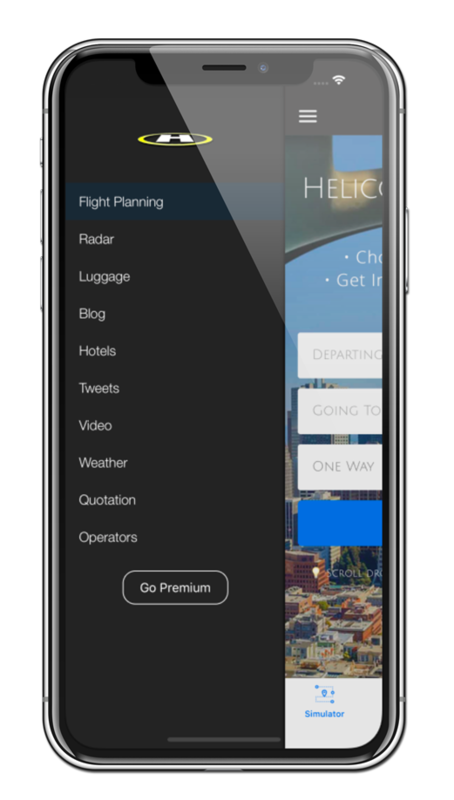 Definitely recommend for any business or pleasure travel. Save hundreds by booking direct ! 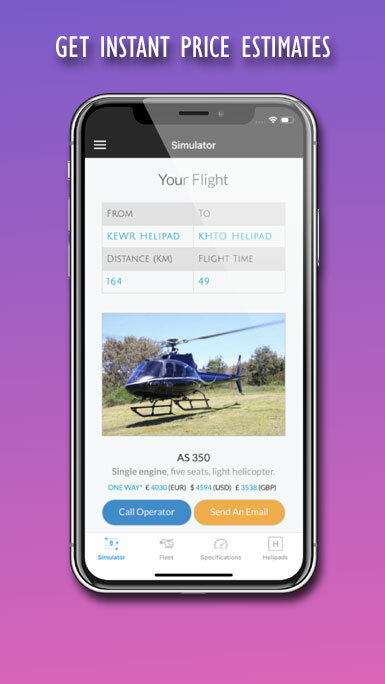 Contact local operators directly and get the best price.